Glass Canada is a leading source of information for the Canadian glass and Metal Industry. Our editorial content focuses on leading edge equipment, technology, and glass professionals in the industry. Our goal is to provide businesses with an effective advertising medium to reach people directly involved in all aspects of the Canadian Glass Industry, while highlighting innovative technology and design employed daily by glaziers in the installation of glass and metal products. Glass Canada provides a medium for readers and associations to share concerns and present industry developments in the use of high performance glass and innovative curtain wall systems. It is a tribute to glazing contractors, architects and suppliers who work together to put Canadian cities "under the glass." 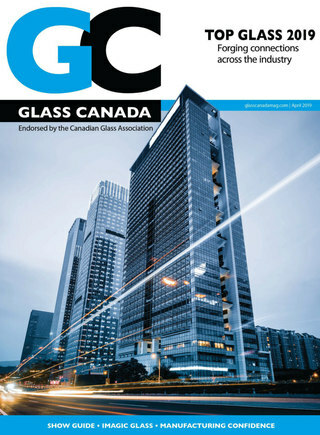 Glass Canada is endorsed by the Canadian Glass Association (CGA) and carries its newsletter each issue.